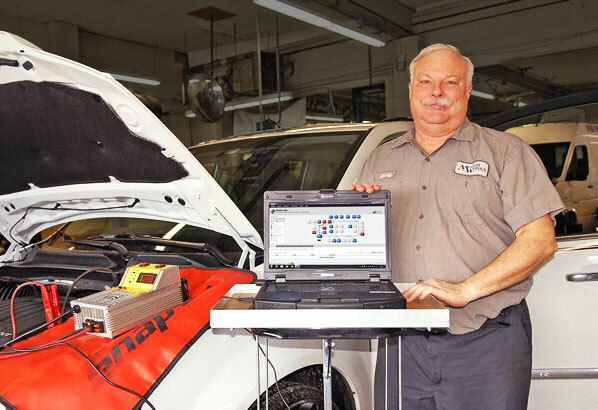 Motor Works… Now with Dealership Diagnostic & Programming Software! From Acura to Volvo and almost every import and domestic manufacturer in between, Motor Works now has the latest factory/dealership programming and diagnostic software to service these cars. Why is this important to you? Motor Works can now perform the same services the dealership can. We are running their newest software. Modern vehicles have an average of 40 computers on them. These computers control nearly every electronic device, including the engine, transmission, windows, heater, and even the turn signals. 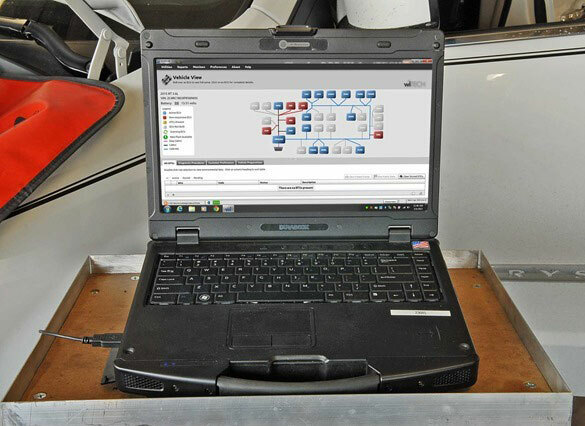 Only factory/dealership software can diagnose them all when something goes wrong. When electronic parts fail, replacement parts are often required to “shake hands” with their related computer. Otherwise they do not work properly. Factory/dealership software is regularly the only option that can perform this “hand shake”. Automotive computers require updating, programming, and replacement when they break. Again, only factory/dealership software can handle all these tasks. Today, even preventive maintenance, like oil changes, require factory/dealership software to read the vehicle’s fluid condition, log work performed and reset service intervals. We are pleased to extend factory/dealership programming and diagnostic services to individuals, mechanical and body shops, dealerships*(see below), and anybody else needing these services. Call us to find out more. * Dealerships sell used cars which require all the services we discussed above. Yet, they only have factory/dealership software for the new car lines they sell. For example: we have assisted local Ford dealers with Audi, BMW, and Volkswagen repair. Motor Works considers this an honor due to the trust they place in us. 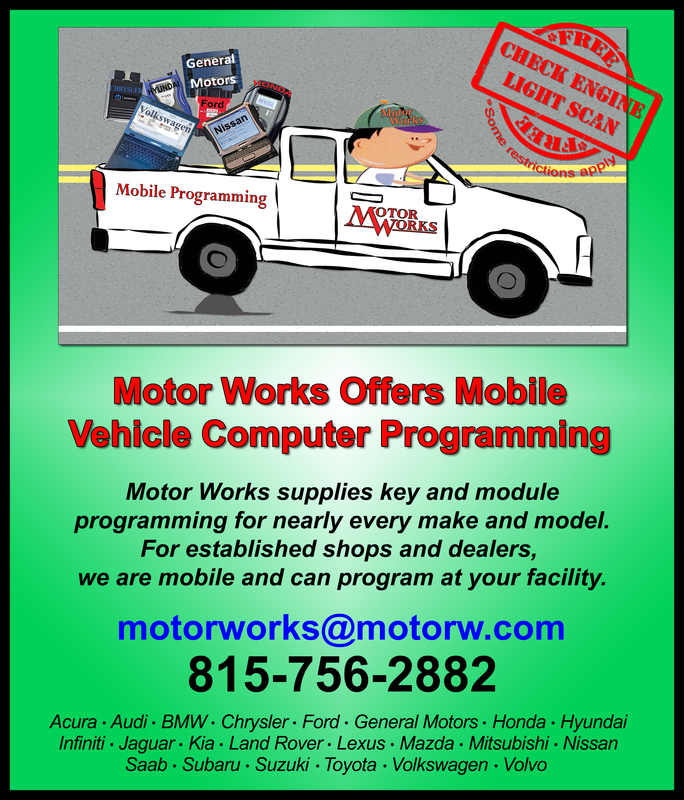 Motor Works Takes Their Programming Services Mobile! For established mechanical and body shops plus new/used car dealers, Motor works will now program computers and keys at your facility. Dealerships sell used cars which require all the services we discussed above. Yet, they only have factory/dealership software for the new car lines they sell. 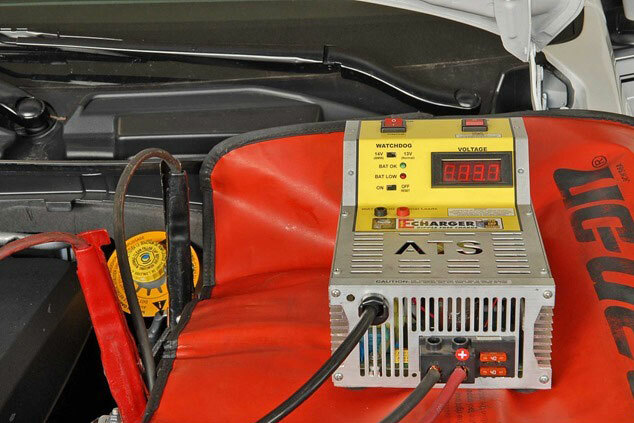 Independent repair and body shops operate under similar equipment restrictions. We can supply local car dealers and independents with services ranging from minor programming to engine replacements. Motor Works considers this an honor due to the trust local establishments place in us. View all awards entries. View all bulletin entries. View all comedy entries.